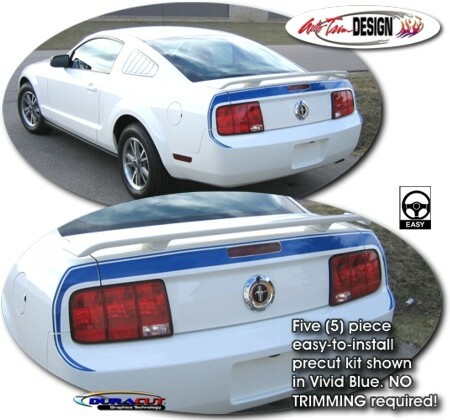 Retro your '05-Current Ford Mustang with this easy-to-install "Mach 1" stylized Rear Lid and Fender graphic kit. This five (5) piece kit is precut (NO TRIMMING required!) and available in a wide variety of colors. This kit is made specifically for the '05-Current Ford Mustang and will not fit any other vehicle.